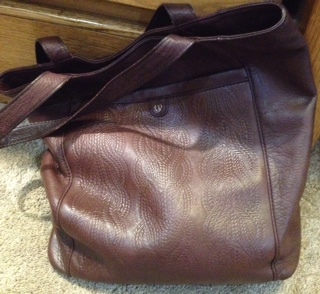 The cobbler did a gorgeous job restoring my knitting-embossed bag. Thank you, Robert. The torn lucite pocket is gone, the new one not only in a leather soft enough to live up to the rest of the bag but big and useful and (despite my unskilled photography) a good match to the color of the bag. They charged me a fair bit less than I was expecting. I tried to argue that I wanted to pay a craftsman fairly for his work (and I know how expensive it is to live here!) but he and his wife just laughed and waved me away. 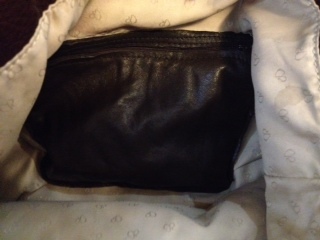 Charlotte Ronson, whoever you are out there, you designed a gorgeous bag, the most me, the best I have ever owned. And now with Robert’s help it is perfect. All is right with the world!!! Oh it’s beautiful! What a great job he did!